In the old days, kitchen jobs used to be quite hectic, from preparing spices to preventing food from going stale. But thanks to modern technology, people no longer have to worry about those hassles. Modern kitchens are stocked with electrical appliances that just make our lives so much easier. 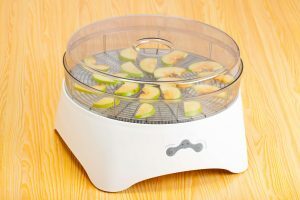 A food dehydrator is another one of these kitchen appliances. 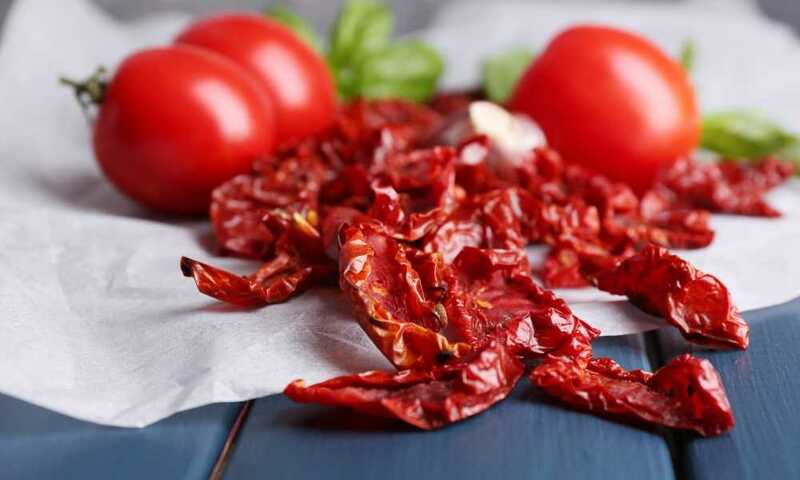 It is used to dehydrate foods, one of the main ways of making beef jerky and hundreds of other dried foods. This dehydration method removes moisture from the food, increasing the shelf life and turning them into delicious crunchy foods. 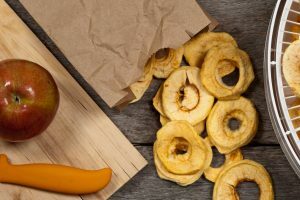 The dehydrated food can be eaten right away or can be stored for the future. It can also be rehydrated, which means it also can be purely for preservation. Food Dehydrators dry food using the heating feature present inside such as fans, air vents, and food trays, etc. The fans and vents create a current of hot air that removes moisture from the food. As all of you might know, slowly heating food forces out the moisture from the food and dehydrates the food. The excess moisture is pushed out by the fans and into the vents, which is later ventilated outside of the dehydrator. Air is circulated either vertically or horizontally. 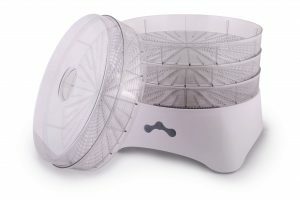 Rear mounted fans utilize horizontal air flow, whereas vertical airflow dehydrators have fans installed that are either on the top or the bottom of the food dehydrator. 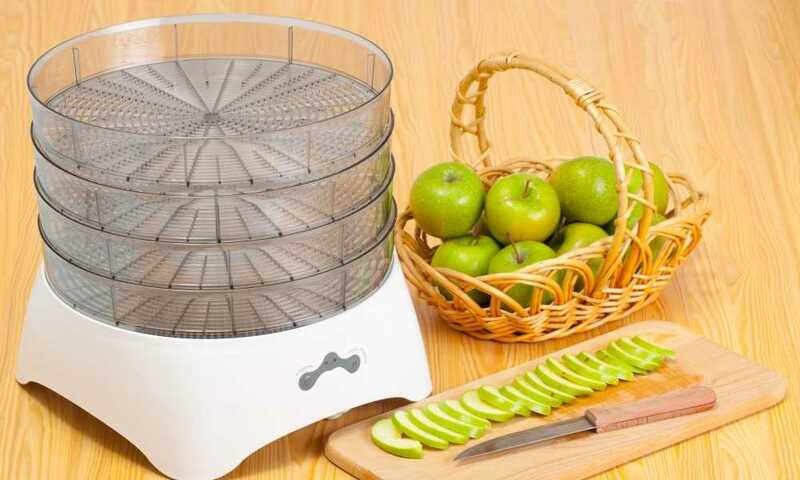 is a high-quality dehydrating kitchen appliance. It comes with 10 square 15″ x 15″ trays that can hold different types of food separately. The trays also rotate at a 360º angle. The large drip trays are quite easy to clean, which is particularly important in our busy lifestyles. The LEM product 1153 food dehydrator also consists of a digital timer and an automatic shut off feature, which helps prevent kitchen hazards. The transparent heat-trapping door is quite important as it ensures visibility and faster drying time. This means you won’t have to open the door over and over to check if the food is dehydrated or not. It has a 60-inch long power cord, which means you won’t have to worry about reaching the power supply. Also, it offers up to a maximum use-time of about thirty hours, which is more than enough to create enough jerky for the entire family. Different sections of the heating compartment mean you can remove moisture from different types of food such as fruits and meat at the same time. This means you don’t have to dehydrate different types of food in different batches. 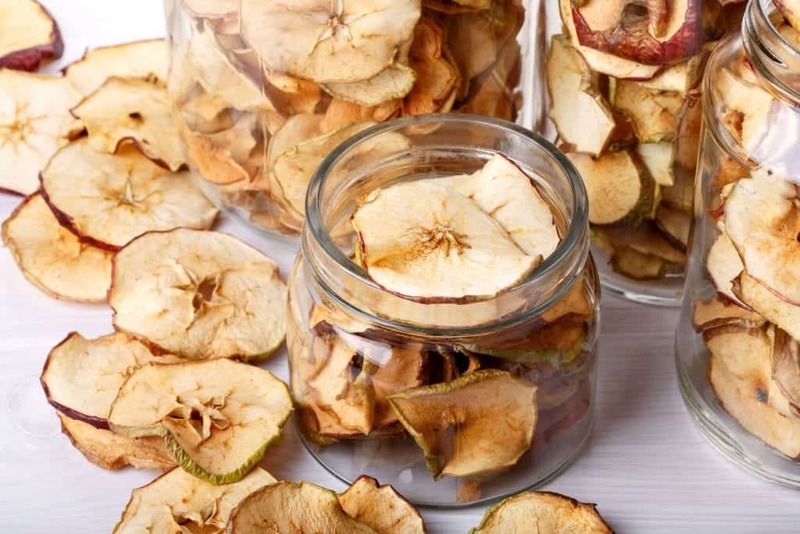 This way you can save a lot of time by dehydrating small quantities of different types of foods. 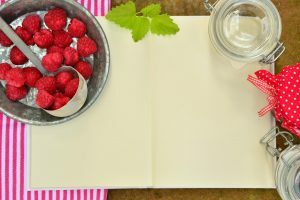 The ability to save time can be quite useful for restaurants who serve different cuisines or a different variety of the same kind of food throughout the day. Since the tray rotates during the dehydration process, it doesn’t take a lot of time for the dehydration process. This combined with the size of the tray means further helps cut down on the time that is required. Despite taking up a lot of space, it can help us save space in different ways. 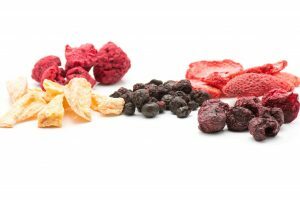 For example, dehydrated foods become smaller as it has been devoid of all its natural moisture. This means more fruits can fit in one basket. This can be useful for camping trips or people with a small house space and of course our habit to munch on something constantly. Lastly, using a dehydrator is far more cost-effective. Yes, there is a one-time expense of getting the dehydrator. However, packed beef jerky and other dehydrated foods are outrageously priced. This is why you can actually save up quite a bit on making your own beef jerky, and it is actually quite healthy as well. The dehydrator has a built-in digital timer. It has an automatic turn off feature that ensures the appliance turns off just as the drying process is complete. Transparent heat-trapping door ensures faster drying time. Large drip tray prevents any liquids falling to the bottom. The trays are made of plastic that come with silicon mats but is not made of coated metal. So don’t expect them to last as long as the dehydrator. Due to the large fun constantly blow hot air, dehydration process can be quite loud and distracting. The grid on the tray is far too wide for most small fruits and vegetables. In short, the LEM Products Food Dehydrator can prove to be very helpful in a household or a restaurant. It is safe, shuts down on its own. The best part is that after we’ve used it, there is no much to do in order to clean it. The little cleaning that it does require is fairly simple and doesn’t take much time. 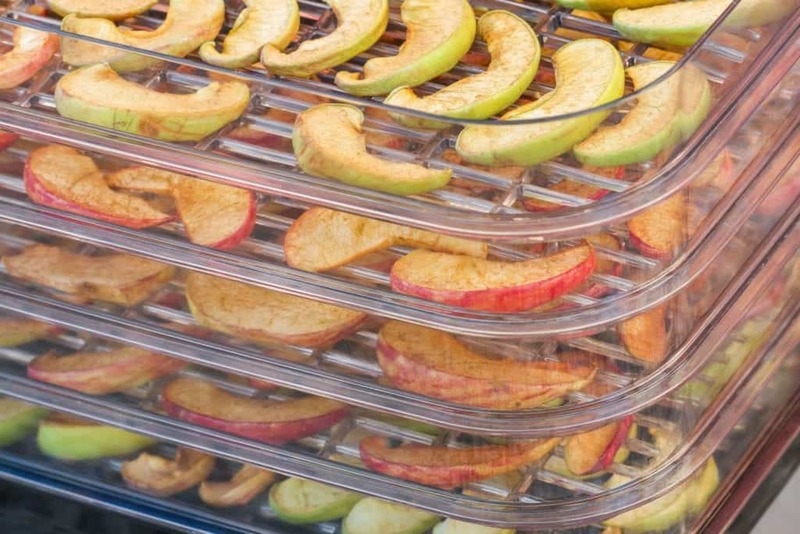 Since the dehydrator supports up to 10 trays at a time, we can dehydrate quite a lot of food at the same time. Lastly, the digital timer and shut down feature is a basic requirement for all 21st-century kitchen appliances. 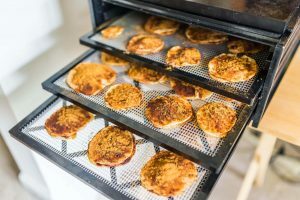 Basically, the LEM Products Food Dehydrator is ideal not just for homes but also for small restaurants that need to dehydrate large quantities of food at the same time but don’t want or can’t get an industrial-grade dehydrator. another brand of food dehydrators that is similar enough for use as a benchmark for comparison. The appliance has slightly different types of screen trays. These flexible poly-screen trays prevent food from sticking onto the tray. This is a really important feature because you don’t want to scrub the grill one at a time. It is a quite laborious job, one that should be avoided at all costs. It also comes with 9 15” x 15” square trays as compared to 10 trays that are present in the LEM products food dehydrator. Excalibur food dehydrator comes with a built-in on and off switch unlike the LEM products food dehydrator that shuts off automatically depending on the preset timer. 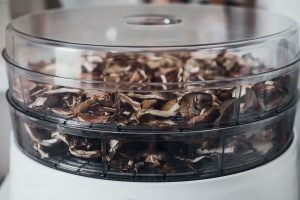 As you might have noticed, the Excalibur Food Dehydrator does not have an automatic turn off feature, which in our opinion is an absolute must for dehydrators. A lot of times you might have to keep the dehydrator will overnight, and without the automatic turn off feature, you are limited in your choice as to when you would want to start dehydrating. 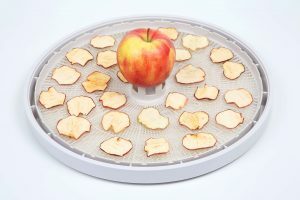 is the better food dehydrator.